" make the most of it!" Every garden is different as are the people who use it, with that in mind the possibilites are endless. We aim to tailor your garden to meet your specific needs. Whether you were born with green fingers or just like to look at it, there is a solution just for you. 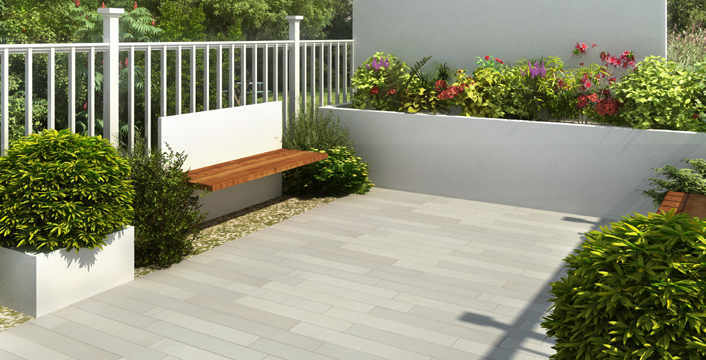 There is now a vast choice of materials, which is increasing all the time, especially with types of paving. Long gone are the days when all you could get were the standard concrete 3x2's. Sandstone, limestone, even porcelin have flooded the market giving a range of overwelming variety. The ability to cater for different styles has also improved, from country house to manhattan sleek, the choice is all yours. We can help guide you to acheive exactly the right solution for 'you'. We have a strong belief that it is your property, your taste not to mention, your money! "...your garden is your biggest room, let us make the most of it"